A skilled coach on the field has a game book of several tried and true plays that are designed to maximize the performance of his or her players. In the same way, every brand needs a "game book" of lead generation tactics to maximize the effectiveness of its campaigns. A reliable lead generation marketing definition. What comprises a good lead generation and PR campaign. Specific tactics that will boost your marketing and lead generation efforts. Lead generation marketing is the creation of interest in your brand's products and services. It uses several channels, including a company's website, social media networks, and other platforms, to stimulate engagement and collect prospects' information via forms and landing pages, in order to move them through the sales funnel. There are several ways to prepare your brand for lead generation. Many include retooling your own website. With small adjustments and additions, your website can seamlessly flip interested prospects into leads. A well-rounded lead generation strategy also includes other platforms, such as social media and media outlets, to promote your brand, establish thought leadership, and ultimately convert people into leads. What do you need to know to create a productive lead generation strategy? Let's look at 13 tactics that are guaranteed to explode your PR campaign and bring in more solid leads for your brand. Video is unparalleled when it comes to engagement -- and, as it turns out, to lead generation. In fact, one study found that brands who used video marketing generate 65% more leads than their competitors who didn't. Now consider for a moment that the vast majority (65%)of people are visual learners. According to this statistic, the visual nature of video is going to appeal to the majority of your audience. And video can be used for almost anything -- whether case studies or product demonstrations, video fits seamlessly into most strategies. Granted, video seems like a overwhelming task when compared to simple content formats like blog posts or ebooks. But with new online tools like Animoto and Lumen5 constantly making it easier, that argument no longer holds water. Check out this video that we created using one of our popular blog posts, with the Lumen5 video platform. It was extremely easy to do, but gave us a professional product that we've been able to use for lead generation. As anybody in a relationship will attest, commitment is much more than a promise. It is an action. Many people begin with good intentions to blog regularly. They get maybe 10 blogs into it, and then lose momentum. Unfortunately, you won't see any benefits from this kind of half-hearted attitude. This is the time when you are probably nodding your head -- "Yes, we know blogging is good. We've known this for a long time." But even with that knowledge, are you blogging consistently to make a difference? The best advice I can give you is to create a content calendar and plan your content for the next six months. This will help to keep your content creation on track. Not sure where to begin? You can download our free content calendar to get started. Evergreen content is content that never grows stale or expires. It is always applicable to your audience and industry. While it can be helpful to create non-evergreen content -- particularly when it comes to the latest trends or tactics that are impacting your brand now. But you also need content that will be just as applicable five or 10 years from now. The longer and more in-depth your evergreen content is, the better. Create an ebook or SlideShare on a topic that answers a key need within your audience. Try to ensure that most of the points of the content will be valuable in the future. Create it so that you'll only need to make minor adjustments every year or so. The last thing you want is to constantly creating new content offers. Your goal should be to create a few key pieces of content that you know your audience will always need and continue to update as necessary and promote them. How can this popular question and answer site impact your lead generation? It's simple. A key business-friendly feature of Quora is that it allows you to build a profile about you and your company, with links back to your website and specific landing pages. Once your profile is set up, your goal on Quora is to answer questions in a helpful way. These answers will show your audience your expertise and may pique their interest in your brand. There may even be questions about your brand on the site -- which you can find using the search feature. When people experience your engagement and expertise firsthand on Quora, it's easy for them to visit your site or landing page for more information. Once there, they will be more likely to become leads. LinkedIn is a network primarily focused on businesses. In fact, one study discovered it to be the top social network among CEOs. And true to its mission as a professional network, LinkedIn has a few tricks up its sleeve to help business users with lead generation. One feature in particular that should be a part of your strategy is its publishing platform. Here you are free to write and publish any type of article you want so it can be read by LinkedIn's large, professional audience. Another feature that you should be aware of is LinkedIn groups. These groups are meant to facilitate conversations among people of similar interests, including certain industries. Find groups that fit your brand's industry and the concerns of your audience. But be aware that LinkedIn is not a platform for self promotion. If this is your tactic, you won't get very far. This is a place where you can engage with your audience, answer questions, and provide helpful advice through comments and engaging articles. In your profile and your articles, direct readers back to your brand and specific landing pages for more information. Do this matter of factly, not promotionally. Every industry has specialized events. And these conferences are a great way to put you and your brand in the spotlight. It conveys that you are an industry authority who can be trusted. New to public speaking? Start small with local events. Use one of your more popular blog posts as an outline for your speech. Most likely, it's a subject you know well and its popularity signifies that it will resonate with your target audience. Events are a great way to establish connections. Within your speech, sprinkle in little tidbits about your brand to whet your audience's appetite to seek more information after the event is over. SlideShare has over 80 million visitors to its site -- a large audience that you can tap into with the right information. The purpose of SlideShare is to showcase helpful presentation content. And you don't need to start from scratch. Take a popular blog post and transform it into a visually appealing slide deck. Then upload it to SlideShare in order to access a new audience. It's completely free and SlideShare's platform makes it simple to upload decks and engage audiences. Once you upload a presentation to SlideShare there are several features that you can leverage for lead generation. For starters, include links to landing pages within your bio, description, and right within the presentation itself. And once your deck is published, engage anyone who comments. Don't forget to upload your SlideShare to your LinkedIn profile. LInkedIn owns SlideShare and make that a snap to do. We've already covered how important it is to share your expertise on your blog, LinkedIn, and other platforms. But these are platforms where you are in control of publication and promotion. Another key tactic, however, involves leveraging your expertise on other platforms. Can you guest post or contribute to an industry blog or print publication? A key to getting published is to have expertise and a point of view. Choose a topic that answers a key need of your customers, offers a distinctive outlook, and showcases your industry knowledge and expertise. Then pitch this topic to the publication that best fits your industry and has access to your target audience. This gets people curious about your brand and more likely to visit your site for further information. If possible, include a link in bio back to your site or a specific lead conversion landing page. When done strategically, partnerships can boost your B2B marketing and lead generation results. They expand your reach and provide a stamp of approval. Find a complementary company within your industry where you can combine forces. Discover common ground where you can work together. It may take time to build a relationship with a company before you introduce the idea of a partnership. But it's a time investment that is well worth the effort. Your email signature is prime real estate that often goes unused. Think about how many emails you send every week. Each email is an opportunity to get someone to your site. Whether it's your homepage or a landing page for one of your recent offers, a strategically placed URL or call to action in your email signature can increase traffic. Don't forget your employees. Have your employees include the same link within their email signature. Within the zillions of emails your business sends, there's an opportunity for lead generation and PR. A brand's reputation is crucial -- especially in lead generation B2B marketing, where price points are high and sales processes are long. A good reputation goes a long way toward building trust with potential customers. If prospects are checking your case studies, they're most likely interested in your brand and just a few steps away from becoming a lead. Make this an easy transition by including CTAs within your case studies. It's also possible that they are already leads, and further down the sales funnel than an average prospect. If so, sprinkle in CTAs for bottom of the funnel offers, such as a free demo. Won a recent award? Have breaking news that will cement you as a thought leader? These kinds of news deserve a special place within your website: a PR newsroom. Such a newsroom can impact your lead generation. When prospects check out your site and discover that you've won industry awards or have been featured in noteworthy publications, it legitimizes you and builds trust. We spoke earlier about speaking at industry events. Another lead generation magnet is to organize and run your own event. Consider an online event. It's less expensive and more of your audience is likely to attend. Events give you a host of opportunities to promote your brand. For example, before the big day even arrives, you can use event webpages, sign-up confirmation emails, and other resources to include CTAs that promote offers and products. Whether your event is in-person or online, you can take steps to prime it for lead generation. Any handouts or downloads that your audience gets as part of your event should also feature well-chosen CTAs. These lead generation tactics are some of the best plays in marketing and lead generation. 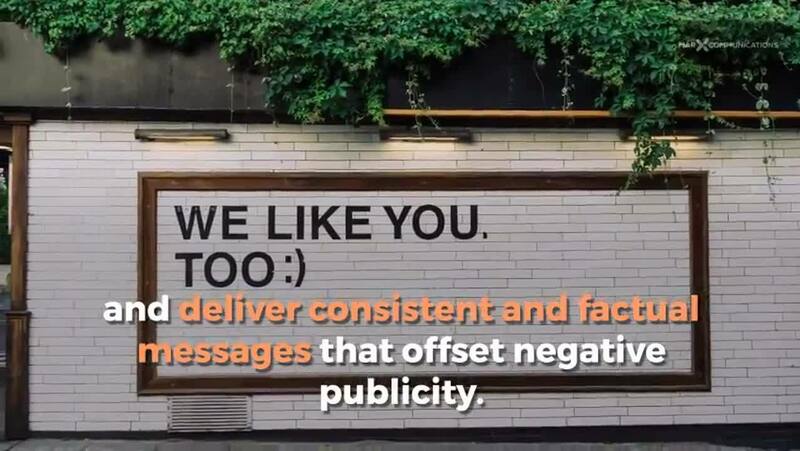 Whether you choose to implement a few or all of these strategies into your next campaign, we are confident you will see positive results. Let us know what tactics you find helpful for lead generation in the comments below.